Future perspective: where is cardiovascular nuclear imaging heading? 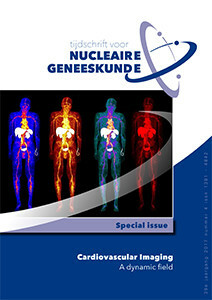 Back in 2007, I was honoured to be guest-editor of the December special issue, entitled “Nucleair geneeskundige beeldvorming van het hart: stand van zaken nu en een blik in de toekomst.” Now, 10 years later, I was once again asked to be guest-editor of the yearly Special Issue. I accepted this proposal promptly, as this was an ideal opportunity to look back at the changes in the field of cardiovascular imaging during the past 10 years. In light of the developments of the last decade and in order to provide a view of the future, this special issue reflects on the current possibilities in cardiac imaging, which now also includes vascular imaging. The reader will notice the rapidity of clinical implementation of new techniques and applications. Cardiovascular imaging is a dynamic part of our profession. Further developments have provided the bridge from cardiac to vascular imaging, as described in the article on clinical applications of FDG PET/CT in vascular graft infection detection. Subsequently, visualizing large vessel vasculitis (LVV) is the initial step towards meeting the huge unmet need for a fast diagnostic work-up including state-of-the-art imaging in LVV. Also a new application of FDG PET/CT as recommended by the ESC guidelines for the detection of endocarditis and distance septic embolism plays an important role in clinical practice, and is shared with you in this special issue. The new procedural recommendation of imaging in cardiac sarcoidosis, a successful joint initiative of several societies, is summarized, including some helpful flow-charts in the work up in cardiac sarcoidosis. The transformation of our landscape of SPECT-CT roads for quantification of myocardial perfusion to PET/CT cardio-streets is very exciting. This change is discussed by the imaging groups of Alkmaar (13N-ammonia PET), Amersfoort and ’s-Hertogenbosch (82Rb PET). This is followed by a detailed description of how to deal with the pitfalls of 82Rb PET, which have important clinical consequences. We should not forget the current use of CT in nuclear cardiology. CT is applied in clinical practice for beneficial attenuation correction, including coronary calcium scoring and (hybrid) CT coronary angiography systems. New developments of CT, such as myocardial perfusion CT, are also ongoing and are described in this Special Issue. The unique cross-over training for radiologists and nuclear medicine physicians in the Netherlands has also been launched in the Cardiovascular track, and experiences of two colleagues in Nuclear Medicine and Radiology are shared with you. We hope this is an example of how cross-over has synergistic effects on the collaboration between Nuclear Medicine and Radiology. Thus far cardiac MIBG imaging has mainly been evaluated for the assessment of cardiovascular events (i.e. ADMIRE trial), but new applications of imaging the autonomic heart function with MIBG appear on the horizon, such as in cardiac amyloidosis, or for the assessment of cardiac toxicity in patients receiving severe chemotherapeutic regimens. Finally, future perspectives in the field of cardiovascular imaging are provided by our internationally respected colleague Prof. dr. Frank Bengel, from the Medical School in Hannover, department of Nuclear Medicine in Germany. Today, (nuclear) cardiovascular imaging is a dynamic field with a promising future, but as changes occur very rapidly, the new technical possibilities should be picked up and implemented by those active in the field. Collaboration with Radiology will promote the development of novel and existing imaging techniques, but the freedom and flexibility of research in the two domains should be respected. I hope to meet you again in 10 years, to share with you the newest developments, and to look back on our progress. I wish you all a prosperous 2018!